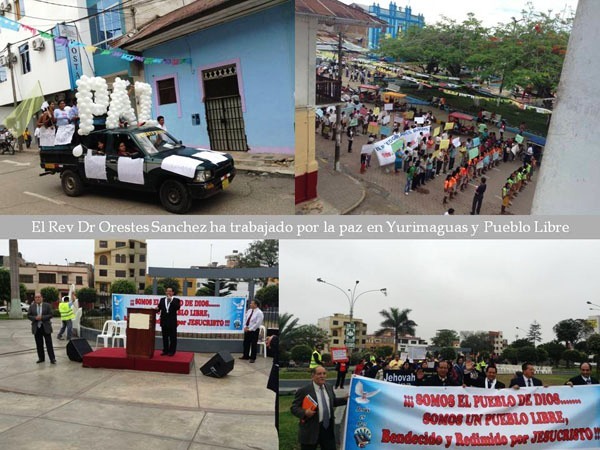 A few days later Dr. Jones was in the coastal city of Trujillo, the second city of Peru. 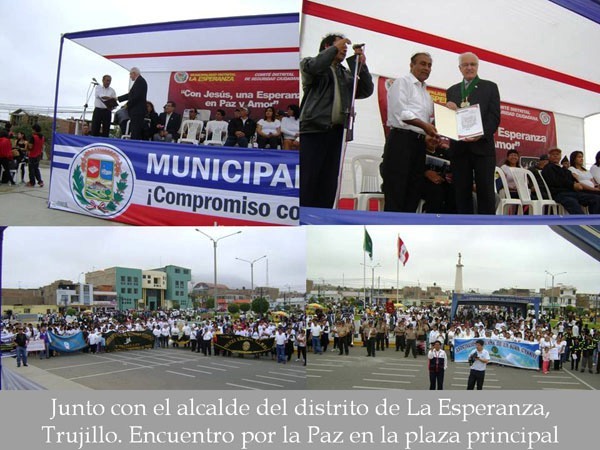 He was warmly received by the local representatives of UPF, Mr. and Mrs. Wilson Chavez, and during another busy weekend he took part in two peace marches and was presented with Municipal Memorandums recognizing the work of UPF from the mayors of La Esperanza and Victor Larco. 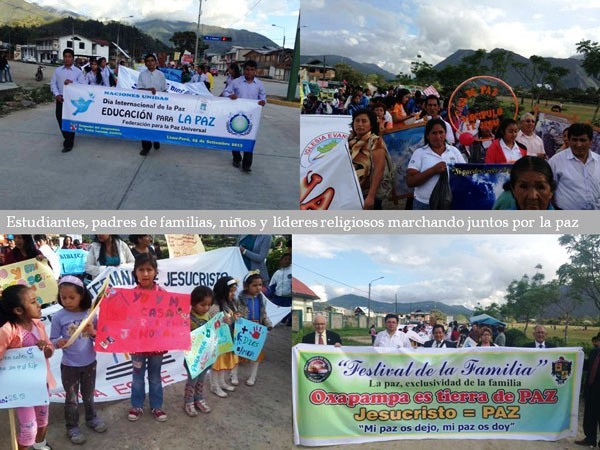 Other district mayors had been appointed as Ambassadors for Peace in September when the local branch organized meetings for the International Day of Peace. 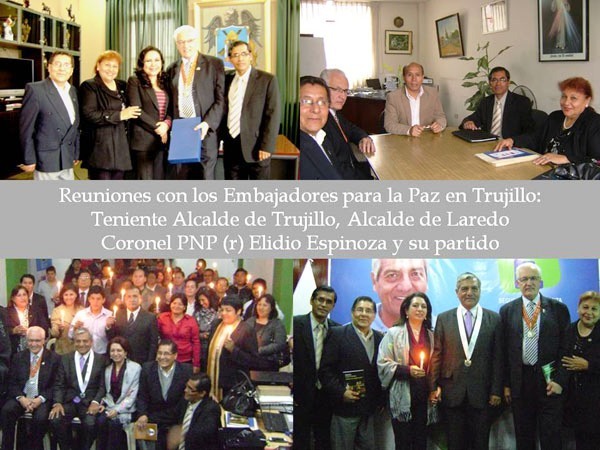 One Trujillian Ambassador for Peace -- retired Police Coronel Elidio Espinoza -- has formed his own political party and plans to run for office in the near future. The month closed with a meeting of Ambassadors for Peace in Lima where guest speakers shared their desires to contribute more for peace in the coming months. 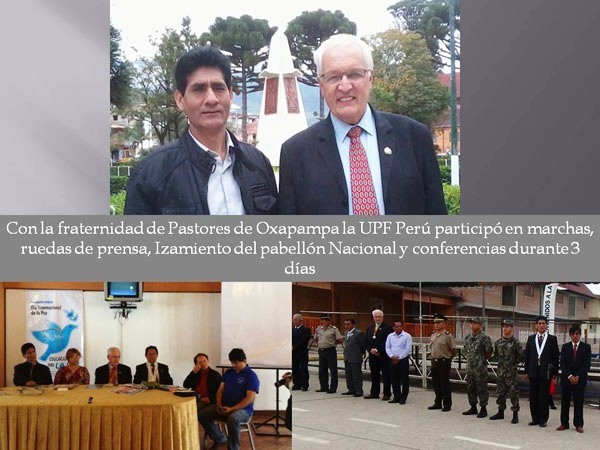 Mr. Manuel Arana, the keynote speaker, gave an excellent PowerPoint presentation on the vision of a "New Man in the New World" which included references to the vision of UPF and the work of its founder, Dr. Sun Myung Moon.